Commitment, creativity, and perseverance mark Eric's professional approach to real estate marketing. He has an instinctive ability to cut to the essence, whether selecting a property, planning the marketing focus or negotiating price and terms. True success as Eric sees it, results only because he invariably respects people's wishes, protects their privacy, and in return, earns their trust and recommendations. Utilizing the expert skills he's developed throughout his tenure, Eric dedicates himself to uniqueness of each client's individual necessities with adept specialized knowledge in the most highly sought after locations in Manhattan and Brooklyn. He works closely and continuously with a consistently growing client base facilitating all aspects of sales, marketing and negotiation strategies to ensure outstanding customer service and seamless transactions. A dedication to the Townhouse and Investment markets consistently hones Eric's skill for consuming complexities and recognizing opportunities and value where ever they may exist. Love of architecture merely adds passion to natural talent, offering anyone fortunate enough to come in contact, the necessary advantage of superior aptitude. 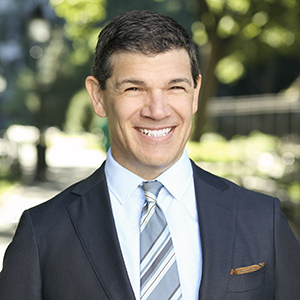 With his adept real estate knowledge of the Brownstone Brooklyn region, Eric demonstrates exceptional effectiveness and exhibits the utmost in professionalism, upholding the finest of standards by any measure.